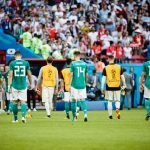 The group stage of the 2018 FIFA World Cup has concluded, leaving only 16 teams still in the running for the most prestigious championship title in all of sports. With the knockout bracket now set in stone, it’s time to look at the path forward for each of the favorites, which teams are set up for deep runs, and who got the hardest draws as we head into the Round of 16. 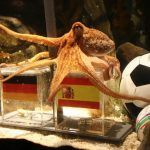 With the exception of Germany, which is still reeling from its shocking exit in the group stage, all of the other favorites heading into the tournament have made it through to the knockout phase. 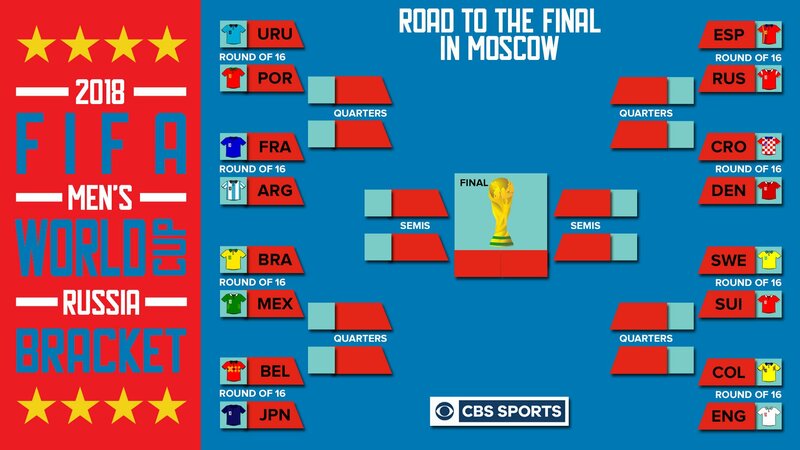 Now that the bracket has been finalized, two teams in particular stand out as the top picks to go all the way and win the World Cup this summer. Brazil is the top choice at virtually every sportsbook, with William Hill giving them 7/2 odds of winning their sixth World Cup. The Brazilians haven’t exactly been given a pushover in their first game, but they’ll be heavily favored to beat a Mexico side that suffered a 3-0 loss to Sweden in their final group stage match. Spain (4/1) has cemented their status as a favorite as well, and received a particularly favorable draw in the Round of 16. The Spaniards will be playing Russia, and while the hosts will benefit from their home-field advantage, Spain is still seen as a 2/7 favorite to move on to the quarterfinals. Spain might then have to deal with surprise contender Croatia (11/1). After winning their three group stage matches, the Croatians are now a 2/5 pick to get past Denmark in the Round of 16. England and Belgium: Who Got the Better Draw? One of the more lively debates in the final days of group play was whether England and Belgium would prefer to win or finish as the runner-up in Group G. While every eventual World Cup winner since 1986 has finished first in their group, it appeared as though the second place team would get the benefit of sitting on the much softer side of the draw. In the end, oddsmakers feel both teams were treated fairly, as they are joint third choices at 7/1. Belgium is the largest favorite in the Round of 16, as they are a 1/6 choice to move past an overmatched Japan side. The downside for the Belgians is that they will likely face Brazil in the quarterfinals. Meanwhile, England faces a much tougher test in their first knockout match, though they are still favored. England is a 1/2 pick to advance past Colombia, after which they would play the winner of the Sweden/Switzerland match, where they would likely be a modest favorite once again. In the toughest portion of the bracket, four of the most storied soccer nations in the world ended up in the same quarter of the draw, lengthening the odds on all four of them as only one can advance to the semifinals. That section will play out on Saturday, and sees Uruguay (22/1) take on Cristiano Ronaldo and Portugal (25/1), while France (9/1) does battle with Argentina (14/1). The two winners will play each other in the quarterfinals, and the squad that survives that gauntlet will likely see their odds improve more than any other team that advances through to the final four. The World Cup final will take place on July 15 in Moscow.